La nature des mégadonnées risque de poser un véritable défi à l’application des principes traditionnels qui gouvernent la protection des données personnelles, comme le principe de finalité ou de minimisation des données. Chaque fois que les méga données entraînent un traitement des données personnelles, chacun doit être en position d’exercer son autonomie personnelle et son droit à contrôler ses données. Les Lignes directrices, adoptées par le Comité consultatif de la Convention du Conseil de l’Europe sur la protection des données (Convention pour la protection des personnes à l’égard du traitement automatisé des données à caractère personnel, également connue sous l’intitulé de « Convention 108 ») offrent aux décideurs politiques et aux organismes qui traitent les données personnelles une assistance précieuse pour veiller à ce qu’ils mettent l’individu au centre des économies numériques. How do children see their rights affected by digital media and tools? In July and August 2014, 148 children in 16 countries took part in workshops to discuss the opportunities and risks associated with digital media; these discussions – and the voices of the child participants of the workshops – are reflected in this report. Findings were presented at the Day of General Discussion, a meeting focusing on digital media and child rights that was convened by the Committee on the Rights of the Child on 12 September 2014. The workshops were led by Young and Well Cooperative Research Centre with support from the Berkman Center for Internet & Society at Harvard University, UNICEF and other partners. A group of seven European entities, universities, research centres, government offices and Non Governmental Organizations, will develop during 2012 and 2013 the European Media Literacy Education Study (EMEDUS). The initiative was selected through a public call made by the Transversal Programme of the Lifelong Learning Programme of the European Commission’s Education and Culture General Direction, under its “Key Activity 1”: Studies and Comparative Research. The Twenty-Ninth General Conference of UNESCO in adopting Draft Resolution 61, approved that, for its programme in 1998-1999, support for media education and the creation of media space for young people should be ensured through different modalities and actions. These actions are based on a number of different events and documents of UNESCO and its Member States, notably the « Grünwald Declaration on Media Education » (1982) and the Toulouse Colloquy « New Directions in Media Education » (1990). Following preparatory work in 1998, the Austrian National Commission for UNESCO and the Austrian Federal Ministry of Education and Cultural Affairs in cooperation with UNESCO organized an international conference « Educating for the Media and the Digital Age » (Vienna, Austria, 18-20 April 1999). Forty-one invited representatives from 33 countries attended the conference. On the basis of the Conference recommendations, it is planned to prepare for renewed action in UNESCO’s Member States through UNESCO’s programme in media education and the creation of media space for young people. National Commission for UNESCO was represented by Dr Harald GARDOS. Throughout the meeting there was continuous video and newspaper coverage by students of a nearby Austrian secondary school, and radio interviews were conducted by another Austrian primary school. These concomitant activities not only ensured a lively coverage of the conference but served also as concrete examples of how young people can learn and handle media even in adult situations. After presentation and discussion of the papers of the conference, three working groups were formed to draw out from the participants possible policy statements or suggestions regarding actions for recommendation to UNESCO on the conference theme, Educating for the media and the digital age. The following morning, a specially appointed working group attempted to structure these statements and actions into a list of policies and a set of recommendations. This group was composed of Ms Cary Bazalgette, Susanne Krucsay Kenneth Noyau, Jeanne Prinsloo and Didier Schretter. The UNESCO secretariat assisted as observers. Media Education . . .
gain, or demand access to media for both reception and production. Media Education is part of the basic entitlement of every citizen, in every country in the world, to freedom of expression and the right to information and is instrumental in building and sustaining democracy. While recognizing the disparities in the nature and development of Media Education in different countries, the participants of the conference “Educating for the Media and the Digital Age“ recommend that Media Education should be introduced wherever possible within national curricula as well as in tertiary, non-formal and lifelong education. Media Education addresses a wide range of texts in all media (print, still image, audio and moving image) which provide people with rich and diverse cultural experiences. In countries moving towards the introduction of new technologies, Media Education can assist citizens to recognise the potential of the media to represent/misrepresent their culture and traditions. In situations where access to electronic or digital technologies is limited or non-existent, Media Education can be based on available media texts in that context. Media Education should be aimed at empowering all citizens in every society and should ensure that people with special needs and those socially and economically disadvantaged have access to it. Media Education also has a critical role to play in, and should be responsive to, situations of social and political conflicts, war, natural disaster, ecological catastrophe, etc. UNESCO should facilitate cross-cultural evaluation of initial and in-service teacher training methods and programmes, and ensure the sharing of experience in their utilisation. UNESCO should facilitate partnerships and finance to fulfil the recommendations of the Vienna Conference and help to design an action plan. 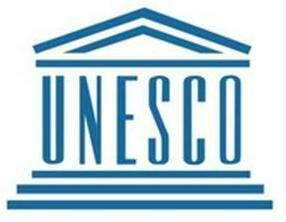 UNESCO should make better known the existing copyright conventions and should encourage the development of national and regional copyright instruments which take full account of the needs of Media Education and which provide that the right to copy audiovisual and digital media for educational purposes is no less than for print material. To facilitate and coordinate all these actions, UNESCO should set up an international Clearing House for Media Education. This Clearing House should collaborate with functioning national and international networks and organisations that deal with Media Education. It should stress co-operation among all experts and organisations dealing in a formal or informal way with Media Education. give special attention to wide dissemination in order to encourage equality in development of Media Education in all countries and languages. The participants urgently recommend that UNESCO review its programme for Media Education and allocate the resources required to implement these Recommendations. UNESCO and all the participants of the Vienna Conference should endeavour to transmit and disseminate these recommendations to the national representatives of UNESCO and other interested institutions. Approved unanimously by the participants of the Vienna Conference in plenary session.